Appropriately for an episode on which we discuss illness, we have a podcaster down this week with laryngitis. We miss you, Amanda! And we've all done our best to talk more to fill your shoes. Here's a road map through our conversation. 0:49: Intros and What's New With You — Maybe you've heard, Nicole is writing a book? And writing and writing. And stressing. And blaming Terri and Amanda for not warning her. Which we totally did. 5:31: Parental Pride — A new survey from TIME For Kids and KidsHealth.org tells us that children who feel their parents are proud of them more often have positive relationships with their parents and exhibit more positive behavior traits. 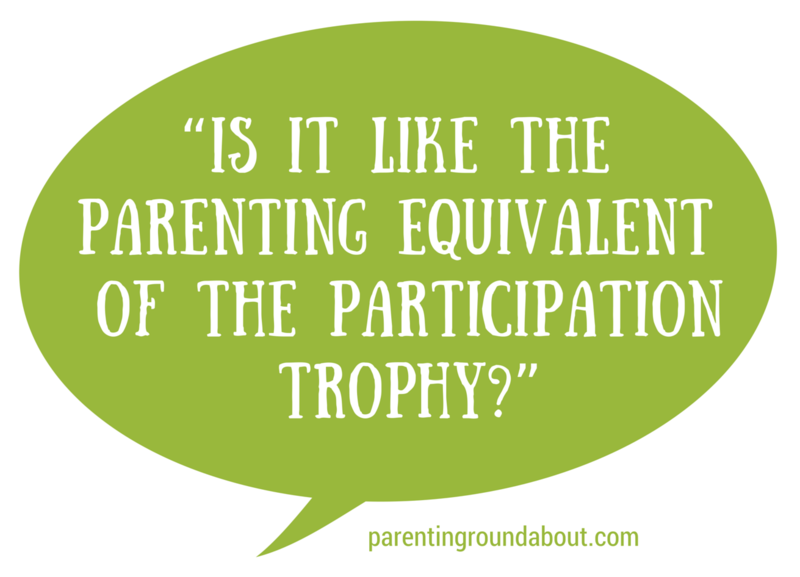 We took that survey as a jumping-off point for a chat on whether saying “I’m proud of you!” is the answer to all our parenting problems, whether it's okay to say "I'm proud of you!" to a grown-up, and whether we believe in surveys anyway. We're proud of you for making it through the podcast this far! 16:26: Sick Days — Something we're not so proud of is the way we have drastically misinterpreted our kids' actual significant health emergencies, from appendicitis to ulcers to a broken wrist. Sometimes, apparently, "Stop complaining and go to school!" is not, in fact, the right answer. We're proud of our kids for somehow still being alive. 27:52: Interview of the Week — In honor of spring finally being here (maybe ... is that snow in the forecast? ), we're replaying an interview Catherine did last year with pediatric OT Meghan Corridan on the importance of outdoor play and some good ways to make it happen. 39:47: Shameless Self-Promotion— Nicole's too busy writing something that she will eventually shamelessly self-promote (have we mentioned that she's writing a book? She is!) to shamelessly self-promote now, but Terri mentioned her Special Needs News Twitter account @SNNewsTweets and Catherine shared a fun piece on how to get more out of playground visits.